We miss a role model for rational thinking, valuing the community over the privileged few, and a total hottie. We loved him not only for Star Trek, and watching his evolution of thinking in I am Not Spock and, later, I am Spock ; but for that consideration of the unexplained, the TV series In Search Of. ..the FCC’s new rules forbid ISPs from charging Internet users for special treatment on their networks. It will also reach interconnection between ISPs and transit providers or edge services, allowing the FCC to ensure that ISPs don’t abuse their gatekeeper authority to favor some services over others. Another important aspect of the Net Neutrality ruling is forbearance, the process by which the Federal Communications Commission (FCC) expressly commits NOT to apply certain rules. … Forbearance is crucial to net neutrality because it helps to limit FCC regulation. a group called Hyperloop Transportation Technologies, unaffiliated with Musk, announced plans this week to build a 5-mile test track for a Hyperloop in the planned community of Quay Valley, California. Construction on the project, estimated at $100 million could begin as early as next year. Disney has dropped the Boy Scouts of America from the roster of charities eligible to benefit from its Voluntears program, through which the company donates money to charities when its employees do volunteer work in their communities. A petition to make Hella- the official SI prefix for 10^27, for measuring things bigger than Yotta- (the prefix for (US) billion trillion). For instance: ‘the sun (mass of 2.2 hellatons) would release energy at 0.3 hellawatts.’ It would also come in handy for eventually measuring Internet traffic and US national debt. The monster they found (depicted in this artist’s impression) is roughly 3000 times the size of our Milky Way’s central black hole. To have grown to such a size in so short a time, it must have been munching matter at close to the maximum physically possible rate for most of its existence. 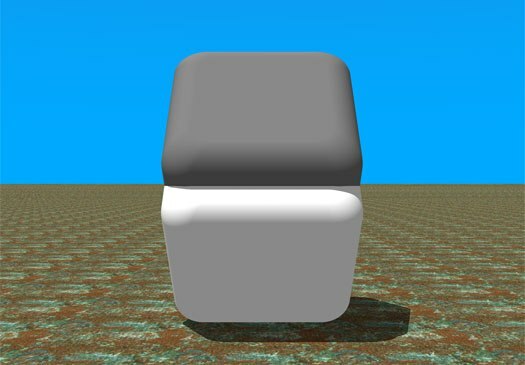 Do you see a blue or white dress? They are actually the same color. (cover up the line between them to see.) – your mind isn’t doing what you think it is doing. Late last week United States Patent and Trademark Office published a patent filing by Amazon Technologies, Inc. which outlines a method of 3D printing on-demand within mobile manufacturing hubs. According to Amazon, such a setup could save the company time and money on several fronts. I first saw it on my mini tablet and it was obviously white and gold and thought it was a big joke. 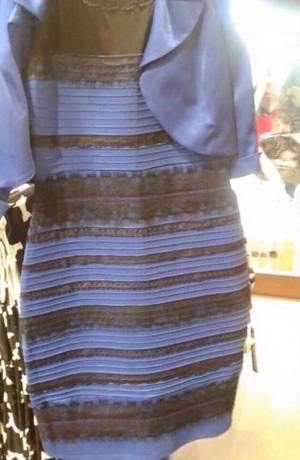 Asked my husband: white and gold. blue. BUT on my proper computer screen, it looks light blue and brown, until I stand up and look at the screen, white and gold or lean back, dark blue and black. So I’ve seen it three sets of colors. This episode of GeekSpeak is dedicated to Leonard Nimoy, a well known actor, director, musician, photgrapher and writer. Known for his character Spock of the Star Trek universe, an icon of rational thinking and moral action.